Let’s try something. It’s a creative exercise I sometimes do that invokes original thinking and – if you follow it all the way through – will make you feel pretty damn good about your creative potential. But first, what do I mean when I say “creativity?” Creativity is more or less a process for developing original thought. Simple as that. Often the pursuit of creativity is the result of some need, typically from encountering a new problem or situation that requires a solution. It’s driven by desire, pain, or – more commonly – boredom. The process is surprisingly simple when it comes to a general scope, though the neurological processes behind creativity are immensely complicated and we’re only just now beginning to figure all that out. What modern research is beginning to show is that the brain functions in a way that makes creative thinking appear entirely innate: constantly making connections between ideas day and night. We see in toddlers this natural inclination to explore, to poke and prod and mess with things, even when those “things” don’t seem to make much of any sense at all. This drive to explore and find creative solutions is a natural part of our very desire to live, to resolve boredom, stress, etc. Unfortunately, as we grow older there is a large amount of pressure to avoid asking questions, to taking risks, and to do what once came so natural to us in our creative prime. Suddenly, in adulthood, we’re faced with the overwhelming pressure that we have to appear intelligent and overwhelmingly confident. We either can’t afford to be wrong, weak, or curios. The result? Creativity looks hard. It doesn’t have to be, as it is a natural way for us to think, but we place so many limitations around the process that the mere act of being creative becomes something almost mystical or magical. So that’s where this exercise comes into play. It’s about getting back to that childhood curiosity and discovering new concepts. We’re going to think of a problem with a major constraint to it. 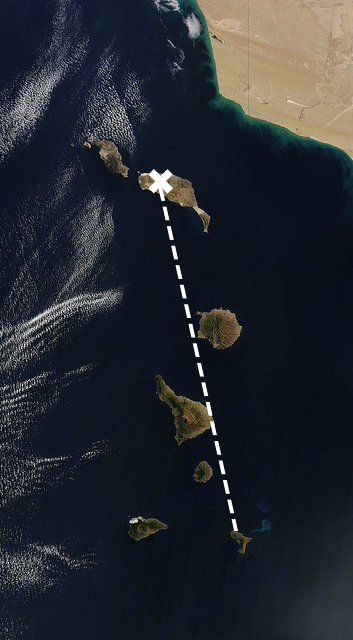 For this example our problem is this: you have to travel from one island to another far away, and you can’t use an airplane to get there. A good response is to take a motorboat, if you’re bold you may even think of swimming, but this island is extremely far so swimming is out. To spur our creativity we need to get rid of our initial answers. In-fact, that’s the real aim of this creative exercise: keep finding answers and omitting them as you go in order to force yourself to keep seeking new solutions until you find what that seems really creative to you. So the initial problem has changed: now you can’t take an airplane to fly there, and you can’t use a motorized boat. Your solution needs to be fairly realistic, so no atom-bending or anything like that. What about a kayak or canoe? A helicopter? Maybe you could find a really, really high cliff and use a hang-glider? Rent a submarine? Jetski? Hitch a ride with a dolphin or sea turtle? Those all seem fairly obvious at this point too, so let’s get rid of them as possibilities too. Take a minute to think about how you could get to the island now. Take your time, there are no right or wrong answers and nobody is judging you. If you’re having trouble: that’s alright, that’s expected, but keep thinking. What are your options? You know you can’t fly and you can’t use a boat, but you still likely have to stay close to the water. What about a really, really long bridge? That would take some time, but it could absolutely work. So let’s get rid of that possibility too. No bridges or tightrope walking. When you start limiting the possibilities new, creative solutions will start to reveal themselves. If you’re feeling trumped, relax and let your mind wander. The solutions you’re looking for are right there waiting for you to discover them, guaranteed. If you really start to struggle, ask a friend to participate in the experiment with you. Their answers are undoubtedly going to surprise you. The point of the exercise isn’t to get stumped, or frustrated, it’s to invoke a feeling of discovery. To understand that there’s always more possibilities, certainly more than what you think of on the first, second, third, or even tenth try. But the only way you’re going to discover creative solutions is to keep exploring, to keep pressing yourself, to not accept an answer as final. Try changing the problem: in what ways could you make $100 tomorrow? Omit the answers as they come. How could you resolve world hunger? Again: deny every solution as it makes itself evident. Change the problem and keep exploring until you feel accomplished. There is ultimately no final, right or wrong, answer. My solution to the initial problem? A giant, plastic, inflatable ball that you can use to run across the water. It’s going to be a long run, but if you move quick enough you should make it. Original photo via NASA Goddard.